This is part 5 in a series on the theology behind house churches. To see the other posts in this series you can find a link to them at the bottom of this entry. As stated previously, these posts are about the nature and practices of the ekklesia. They are not meant to be taken as a criticism of the people of God regardless of how anyone chooses to ‘assemble’. Today’s post is all about how we view authority, submission, coverings and accountability. The two most frequent asked questions that I receive regarding our house church are, “who is your leader” and “who is your covering?” My answer to both of those questions is the same and it usually is met with skepticism. The response might sound something like this, “Yeah, yeah, but how do you know which Jesus you are following?” So today I want to unpack my thoughts a little, specifically relating to the covering question. Before moving directly to coverings, we need to be reminded about what the bible teaches about authority. In Matthew 20:25-28, Jesus speaking to His twelve disciples warns them not to be like the Gentiles who exercise authority over each other and how He exhorts them that desire to be great to be as slaves and servants to others. Similarly, In Matthew 13:8-11 He warns His disciples and the multitudes not to call each other by titles such as leader, teacher or father and reminds everyone that there is only one true leader, teacher and Father. Then He wipes out any form of hierarchical inclinations among them by stating that “you are all brothers”. Furthermore verses such as Matthew 28:18 and John 17:1-2 insist that all authority belongs to Jesus alone which means that, biblically speaking, we are forced to conclude that the church has a flat structure (everyone equal under Christ) which is devoid of human hierarchy or power over one another. This thought is daunting for a lot of people, does it not put us in danger of each man going his own way and doing what is right in their own eyes? Rather than being under the protection of one man, who in turn is under the protection of another, who in turn is under the protection of another until you get to the top of the ladder; the bible teaches that we are all under one another’s feet and to submit one to another (Ephesians 5:21). In the event that disagreements arise within the church or someone falls into sin, things should not get settled by people pulling rank on each other. Rather than one way monologues being delivered by the guy with the microphone, when I bring something to one of our gatherings I know that there are guys 20, 30 and even 40 years my senior that can correct me at any moment. And if a lady half my age brings correction to me it will be received in the same manner. In 1 Peter 5:1-5, we see Peter saying the same thing that Paul does but adds that we are to cherish the advice and example of those who are more mature in the faith even more so. He adds that they are not lords over you but simply that they are more worthy of imitating because of the godly example they have set for us. While power over others often leads to abuse and control, there is a safety in numbers and equality. Proverbs 11:14 says, “Where there is no council, the people fall; but in the multitude of councilors there is safety.” (See also Proverbs 15:22 and 14:6). Looking into the idea of ‘coverings’ I was surprised to learn that it is a relatively new doctrine. It was only birthed in the shepherding movement of the 1970’s in an attempt to keep people from falling into error and going astray. One has to wonder if institutionalized covering has much effectiveness in protecting anyone. The mere fact that there are more than 40 000 Christian denominations in existence is testimony that it simply does not work. One could even argue that hierarchical covering contributes to error. When one man who is considered the leader, teacher or father starts teaching error; his ideas spread to all that are under him. Very few people in that position will receive correction and if anyone stands in disagreement the only option available is usually to leave and start looking for a new church; leaving the old one to continue on in their error. He who dwells in the secret place of the Most High shall abide under the shadow of the Almighty. I will say of the Lord, “He is my refuge and my fortress; my God, in Him I will trust.” Surely He shall deliver you from the snare of the fowler and from the perilous pestilence. 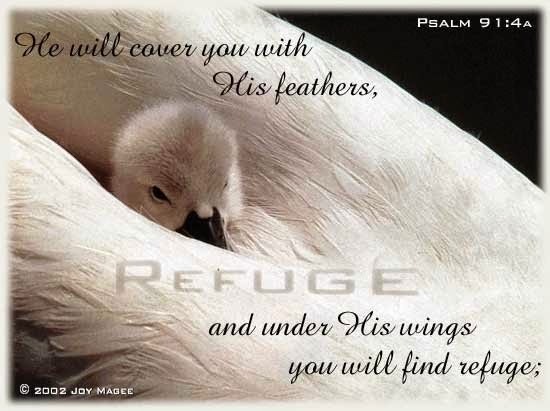 He shall cover you with His feathers, and under His wings you shall take refuge; His truth shall be your shield and your buckler. Trust in the Lord with all your heart, and lean not on your own understanding; in all you ways acknowledge Him, and He shall direct your paths. While scripture essentially teaches that we are accountable to God alone (see Matthew 12:36, Romans 14:12, 1 Corinthians 4:5, Hebrews 4:13 and 1 Peter 4:5), it is not an excuse for us to wear a mask around people, we are still to submit and confess our faults one to another (James 5:16). Likewise, scripture clearly contains instructions regarding the administering of church discipline (Matthew 18:15-20) and how to correct someone who falls into error (Ephesians 4). The church, as Christ’s body, will often be the medium that God uses to correct, rebuke, encourage and restore people through. The bible also clearly speaks of the role of overseers or elders in the church which cannot be overlooked and will be addressed separately in a future post. Can we trust directly in the Lord to be our covering? Christianity is NOT a lone ranger deal; corporately we have the mind of Christ and can trust the Holy Spirit to lead us, protect us and guide us into all truth. Yet at the same time there is to be no mediator or special class of believers between the body and the head as the covering doctrine promotes. The beauty of mutual submission is that we are not only better protected against falling into false doctrines but also against abusive authority figures (Rev 2:6, 15). I also found this article to be extremely insightful regarding coverings and the shepherding movement. This is part 4 in a series on the theology behind house churches. To see the other posts in this series you can find a link to them at the bottom of this entry. As stated previously, these posts are about the nature and practices of the ekklesia. They are not meant to be taken as a criticism of the people of God regardless of how anyone chooses to assemble. Today’s post is all about the tithe. I have erm, 'borrowed' the title of my post from a chapter in a friends book on the same subject entitled 'A Church Beyond Imagination' which you can download for free at the top right hand corner of this very page. One of the questions that comes up regarding the simple assembling of believers in homes rather than the more formalized gatherings that take place in church buildings is one regarding tithing. 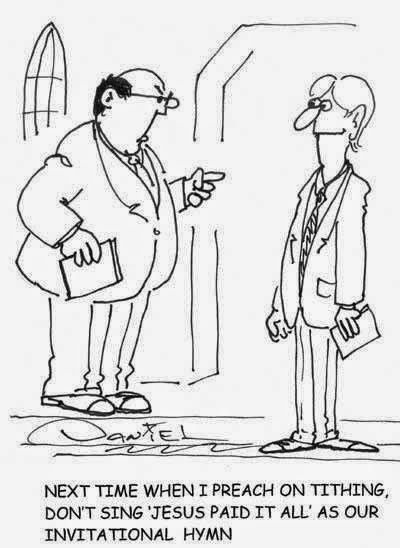 If there is no building, full time clergy or staff to maintain then who do we tithe to? Or do we even need to tithe at all? This will be the subject of part 4 in this series and below is my attempt to answer these questions. Tithe 1 – The first tithe involved the produce of the land and was given toward the Jewish festivals. In Deuteronomy 14:22-23 we read, “You shall truly tithe all the increase of your grain that the field produces year by year. And you shall eat before the Lord your God, in the place where He chooses to make His name abide, the tithe of your grain and your new wine and your oil, of the firstborn of your herds and your flocks, that you may learn to fear the Lord your God always.” (see also Dt 12:27-28). So the first tithe was not something that you gave away but one that you actually ate at a feast before the Lord. Tithe 2 - When Israel entered the Promised Land all the tribes inherited a portion of the land except for Levi. The Levites were set apart to service in relation to the work of the tabernacle of meeting. Because they were not given land they had no means of farming for themselves and so the other tribes were commanded to give a tithe of their harvests to them (Numbers 18:21-24). The Levites would then in turn give a tenth of what they received toward Aaron and his descendants who served in the temple (or the tabernacle of meeting which preceded it, Nehemiah 10:35-39). Tithe 3 – Deuteronomy 14:28-29 says, “At the end of every third year you shall bring out the tithe of your produce of that year and store it up within your gates. And the Levite, because he has no portion nor inheritance with you, and the stranger and fatherless and widow who are within your gates, may come and eat and be satisfied, that the Lord your God may bless you in all the work of your hand which you do.”(See also Dt 26:12-13). So in addition to the Levitical tithe and the tithe that was used during the Jewish festivals there was a tithe that supported the needy. There is some debate whether these were three separate tithes or one tithe split in three ways, I think scripture makes more of a case for three separate tithes equaling about 23.3% of ones annual harvest. The big idea to take from this here is that under the old covenant tithing was good news for the poor, those without land (the Levites), widows, orphans and foreigners, rather a burden on them. It may surprise some of you to learn that the early followers of Jesus never practiced tithing as a church principle. It may also have surprised you to learn that there were several tithes practiced under the Old Covenant and that tithing was directly associated with agriculture rather than money. 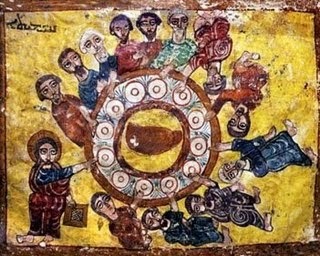 The idea of the Levitical tithe being adapted to support the Bishops emerged only after the emergence of a clergy/laity system was established in the church. It was first suggested by Cyprian of Carthage in the 3rd century AD but was still not widely accepted or practiced for another 500 years! The Christian tithe was actually adapted from 8th century European tax laws as a means of funding and maintaining church cathedrals. It only became official church practice under Pope Adrian 1st and was enforced by law on all citizens from the year 787AD. Consider also Paul’s example as recorded in Acts 20:33-35, “I have coveted no one’s silver or gold or apparel. Yes, you yourselves know that these hands have provided for my necessities, and for those who were with me. I have shown you in every way, by laboring like this, that you must support the weak. And remember the words of the Lord Jesus, that He said, ‘It is more blessed to give than to receive’”. Now concerning the collection for the saints, as I have given orders to the churches of Galatia, so you must do also: On the first day of the week let each one of you lay something aside, storing up as he may prosper, that there be no collection when I come. We have all heard this verse from the pulpit before but there are a few things worth pointing out which were probably not highlighted in these verses when you heard them. Firstly, ‘something as he may prosper’ does not equal ten percent. Secondly, the collection was not for Paul or even for the church which was making the collection, it was not even for another institution but for the saints themselves. Thirdly it may not even have been a financial gift but rather food and similar aid. All we can see from this portion of scripture is that the church seemed to have made a bit of a practice of bearing one another’s burdens (see Acts 11:27-30 and Romans 15:26) where collections were taken to ease the burdens of others who were in need. Also, It is obvious from the above who it was who benefited from the collections that were being taken. In a similar manner to tithing under the old covenant, giving under the new covenant is supposed to be good news for the poor, widows, orphans and foreigners, not a burden on them. Paul’s instructions to the churches in Corinth, Galatia and elsewhere were not solid rules for everyone, everywhere all the time. It is absurd to think that he would have commanded the Judean church suffering through famine to put money or food aside every week for the churches that were supplying for their needs as well. The idea being expressed here is one of equality where no one lacks and each has their needs met. While this article is not meant to be an exhaustive study on tithing there are a few other verses I must address which may be raised in objection to what I have written above. Here are some of the more common objections one might raise in response to my article. 1 Timothy 5:19 says that a laborer is worthy of his wages. I agree, I am not actually against supporting people financially, especially missionaries serving on foreign soil. Paul himself received support from the church in Philippi at one time in his ministry (Philippians 4). This however does not mean that anyone is compelled to give a tenth of one’s income to anyone else. We also need to prayerfully consider the consequences of our support. Will it serve to spread the gospel of the kingdom or will it add to the idea that certain members of the body are more important than others? Are we not all priests? As soon as we have a paid professional the onus is unfairly placed on their shoulders to run the church and bring a message every week while the rest of us flex only our wallets rather than our giftings. Tithing preceded the law, look at Abraham and Jacob. There are indeed two recorded instances of people tithing before the Mosaic Law gave the command. The first was Abraham's tithe to Melchizedek in Genesis chapter 14 (see verses 18-20). A few things I need to point out are that so far as we know this was the only tithe Abraham ever gave. It also never came out of his own personal possessions; Abraham gave ten percent of the spoils of war to Melchizedek (verse 16) and then gave the other ninety percent of the retrieved possessions back to the Sodomites (verses 22-23). Abraham kept nothing for himself! Likewise Genesis 28:20-22 records Jacobs vow to God that if He was to prosper and protect him then he would give a tenth back to God. It is unclear if or how from scripture Jacob even fulfilled this as the priesthood had not being established yet (so who did he give it to?). It is possible that the gift of cattle that he gave to Esau in chapter 32:13-18 was a tithe to his brother but one can only speculate. The point is that it was a once off event, was agriculturally related (goats, ewes, rams etc) and once again bore no resemblance to the way tithes are thought of in the church today. Animal sacrifices were also recorded in scripture before the law was given so the idea that something should still be practiced because it preceded the Mosaic Law is nonsensical. In closing, one cannot speak about tithing without mentioning Malachi 3:8-9, “Will a man rob God? Yet you have robbed Me! But you say, ‘In what way have we robbed you’? In tithes and offerings. You are cursed with a curse…”. Notice here that God is speaking to the Levites (v3) who were living under the Law, what a contrast it is to Galatians 3:10 which says that those who are in Christ have been set free from the Law and by trying to keep it are placing themselves under a curse! What is most important here for you and me is verse 5, God was angry because people were exploiting wage earners and widows and orphans and turning away foreigners (are you listening my fellow South Africans?). If one truly wants to be biblical about tithing, you would need to rebuild the temple, find the Ark of the Covenant and other items from the tabernacle and reestablish the Levitical priesthood so you could bring a tenth of your crops to the temples storerooms on an annual basis (provided you are a farmer and an Israelite). Tithing is biblical, it is however not Christian. As for you and me, let us live simply and give excessively. “He who has two coats, let him give to him who has none; and he who has food, let him do likewise”. – Jesus (Luke 3:11). The word ‘church’ has two very different meanings to people these days. Actually, for the last 1700 years the term has become synonymous with a ‘religious organization’ to the majority of people who use it. The church is associated with a building, the location where God dwells and the people who are responsible for making the wheels turn every week in that place. Even when it is closed and no one is present we still refer to the place as a church. 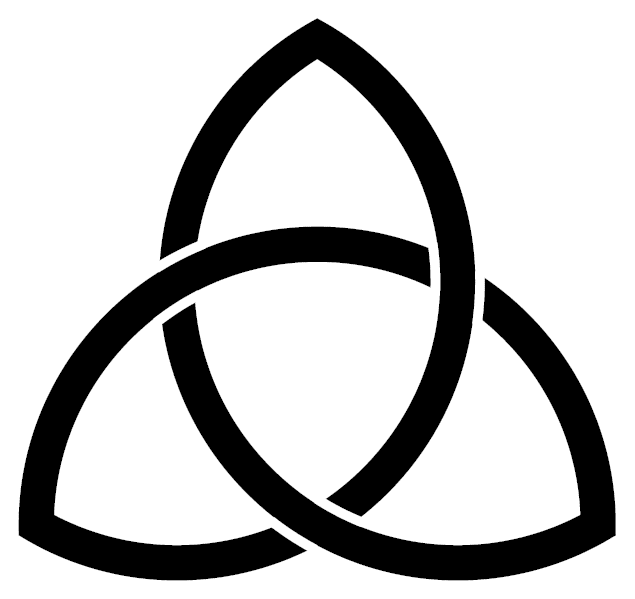 The second meaning for the word church would be ‘a spiritual community’ or an ‘assembly of believers’. This definition is a lot closer to the original meaning of the word even though it is the lesser used of the two. In this post I would like to highlight the differences between these two very different understandings of what this thing called church is. When we speak of the church as the building that we attend once or twice a week we are in fact speaking about a religious institution. Essentially, it runs on the same principles as any business would. It has salaried staff as well as volunteers who get appointed to positions within in one of two ways. Either people are appointed by qualifications obtained through studies or they get there by slowly rising through the ranks. For example, in my old church one would first be proven to be a faithful member (tither, part of a cell etc), then they would get promoted to assistant cell leader, then cell leader, then area leader, then shepherd, pastor, elder and finally, if the position were to become available, senior pastor. This runs in contrast to the New Testament church where qualification to service was not determined by ones CV or the people in charge but rather it was the Spirit who gave gifts to each and every member as He willed (1 Corinthians 12:4-11). The church, rather than being seen in the relational context of a family, is viewed as a tool to get individuals saved and then to keep them motivated. The success of the church is usually measured in numbers (head counts and bank accounts) as opposed to being measured by its faithfulness to whatever good works were prepared for them by God in Christ (Ephesians 2:10). While I believe that the majority of institutional churches have pure intentions and are not be driven by greed or money; the reality is that it relies on money for sustained life. Like any organization, it needs to be profitable to continue existing. It needs to market itself on signs, billboards and in newspapers if it hopes to attract people to sustain it. Part of the pastor’s job is to get bums through the door and into the seats and then to keep them there. 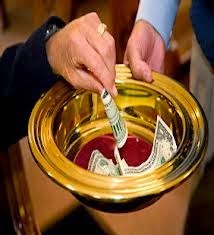 The US church gives $50 Billion given in tithes annually. 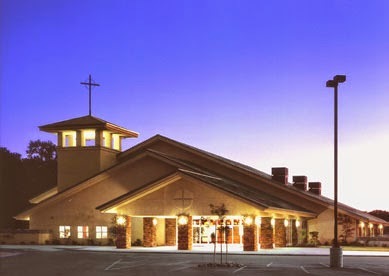 Every year the church in the US spends $3 Billion on new buildings. 82% of incoming funds goes toward buildings, running expenses and staff salaries. 3% of funds go toward the poor. 2% goes toward reaching the lost. I don’t feel like I have to say much about those figures, they speak for themselves. Whether we like it or not the church, when viewed as an institution, means that the church (the community of believers) has a sort of divided allegiance in that it has to first serve itself (and mammon) in order to serve Christ and others. 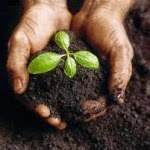 "In the divine order, life produces its own organism, whether it be a vegetable, animal, human or spiritual. This means that everything comes from the inside. Function, order and fruit issue from this law of life within. It was solely on this principle that what we have in the New Testament came into being. Organized Christianity has entirely reversed this order". Unlike the institutional form of church which is sustained by tithes and offerings, the organic church (the body of Christ) is sustained by God alone who gives it its life. As T Austin Sparks said, organisms produce life after their own kind. This is why Adam could say regarding Eve, “this is now bone of my bones and flesh of my flesh” (Genesis 2:23) and this is why Paul could say of the church, “For we are members of His body, of His flesh and of His bones. For this reason a man shall leave his father and mother and be joined to his wife, and the two shall become one flesh. This is a great mystery, but I speak concerning Christ and the church” (Ephesians 5:30-32). "The church is not an institutional organization, nor is it the building used for religious meetings. The church is the collective gathering of Christian people in whom the Spirit of Christ lives. “Called out” to “encourage one another” as they participate together in the organic “Body of Christ” (Eph 4:12). Collectively the saints of the universal church are to express the life and character of the living Lord Jesus". Deuteronomy 12:1-4 and 13-14 reveal to us that it does indeed matter to God where and how we worship and serve Him and how one views church will play a major role in how one practices this. Jesus once told a Samaritan woman that the true worshipers would worship in spirit and in truth. True worship does not take place on this mountain or that one or even in Jerusalem and its old temple. Neither does it take place in buildings or homes made with hands but in spirit. Rather, God has chosen to dwell in a spiritual temple made of living stones and so desires from us spiritual worship and sacrifice. Throughout my whole life I have believed a pretty standard version of the story of Jesus making intercession for us before the Father. The story as I understood it was closely related to the penal substitutionary view of the atonement and goes something like this. God the Father is driven by His need for justice to bring sinners to judgment, yet the Son, driven by love, takes upon Himself the wrath of God by dying in our place. Those then who accept Christ are covered by His sacrifice and avoid the Father’s wrath. One preacher I used to listen to illustrated this by saying that God goes on a killing spree but Jesus jumps in front of the elect and says, “No dad, this one is mine”. While I still believe that the wages of sin is death and that those who are outside of Christ will not inherit eternal life, my view on God the Father has changed drastically over the years. I repented (changed my mind) regarding penal substitution theory a few years ago and while I do recognize different roles within the Godhead, I no longer see different needs, goals, characters or agendas between the Father, Son and Holy Spirit. …because He makes intercession for the saints according to the will of God. Wait a minute; isn’t God the angry one that Jesus (Hebrews 7:25) and the Spirit are holding back on our behalf? If I am hearing Paul right, then the whole of the Godhead is rooting for us. Paul says that it was the Father will that the Spirit and Christ should intercede for us and then follows this thought up with these statements. “What then shall we say to these things? If God is for us, who can be against us (v31)? Who shall bring a charge against God’s elect? It is God who justifies (v33). Paul then adds that the risen Christ sits at the right hand of God also making intercession for us (v34)! After emphasizing that God is for us he then in the same verse also asks the question “who is he who condemns us”? The answer must plainly be Satan who is the accuser of the brethren who seeks to condemn us. As John 3:17 says, God did not send His Son to condemn the world but to save it. For I am persuaded that neither death nor life, nor angels nor principalities, nor powers nor things present nor things to come, nor height nor depth, nor any other created thing, shall be able to separate us from the love of God which is in Christ Jesus our Lord (v38-39). I don’t have all of this figured out yet. My mind is still processing things. But this I know, Jesus truly is the exact representation of the Father. The Father is truly in love with us and is for us as much as Son and Spirit are. Take courage in the fact that God holds you in His hand and nothing can separate us from His love which is in Christ. I am thinking that we have allowed a distorted view of the atonement to influence how we read verses like Hebrews 7:25. Is Jesus our mediator with the Father? Certainly. Is He the one who has reconciled us to the Father? For sure. Does He intercede to save us from God? Hmmm, I don’t think so. I’m thinking rather that Jesus intercedes, as the Father has purposed, for us against the principalities and powers. Does this not fit better with the message of John 3:16? Much will be said about Jesus’ love for us over this Easter/Passover period. But let me add here that you are dearly loved by your Father in heaven as well. They are of one mind toward you and don’t you ever forget it.